He’s a fan of spinning and jerk bait fishing after pike. 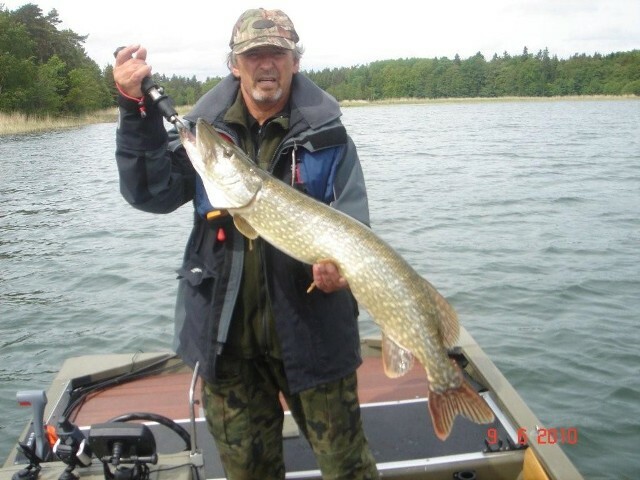 A fishing guide, an editor of a fishing website www.jerkbait.pl, a part-time writer for the “Wiadomosci Wedkarskie” (“Fishing News”) magazine, the CEO of WKS Sandacz fishing club and a member of OKP Passaria. I have been fishing since I was a child, I don’t know myself when it all exactly started. I may say that my dad ‘infected’ me with his passion. He gave me my first rod… I started with bob fishing of course. I used to catch bleak, roach, etc. Most often, I would fish with my parents in the Masuria region. At that time, my mom was keen on fishing. This was a way for our family to relax. Then, I changed into ground angling. My first trips to the rivers started. At first, I was just the little assistant to my father but I watched him and learnt. Later on, my spinning trips started. My first glass Shakespeare’s blanks and Daiwa reels were brought by my dad from his trips abroad. This is how it all started. My first perches, my first pikes. And it is all the same today. I am fond of the spinning and medium-heavy casting (mainly using the jerk bait method while catching the pike). For some time already, I have been trying the fly-fishing. I exercise my throwing technique in order to be able to fly fish all predatory fish in the future. I am most fond of the spinning. I appreciate it because it’s an active form of angling. I can learn big sections of rivers in quite a short time, I can learn bigger parts of lakes. I often change my fisheries while looking for fish. While spinning, I use solely artificial bait, I don’t need natural bait. There is a bigger choice as far as the kind and colors of baits are concerned. The sander used to be my favorite spinning aim. It used to be one of the few fish which could surprise me at any moment. Sometimes very moody, at other times very aggressive. I liked sander fishing very much and with my experience growing, I managed to catch real specimen. However, the river has many other mysteries, and that’s why I like to fish for all predatory fish in our rivers. Every fish type has something else to offer, something which will attract me for many more years. I fish for the chub, the ide, the perch, the pike, the trout, the asp, the barbell and the catfish of course. Every fish type is a different kind of pleasure to me. I have been always excited with different spinning methods for every fish type. That’s why I fish for all of the above mentioned fish types with different techniques. At these methods, you use both, very light and very heavy equipment. 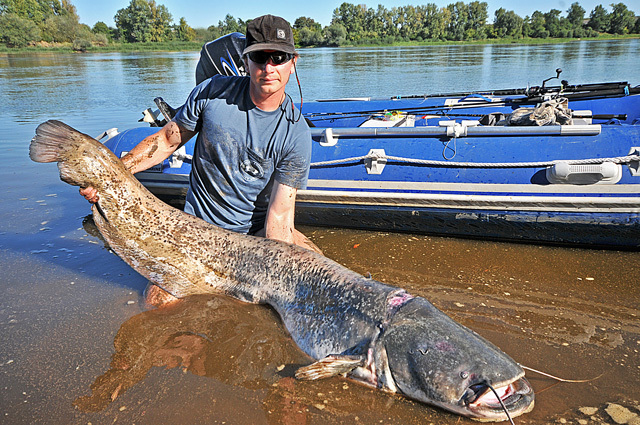 On big rivers, I have been fishing for the asp for the most of my time but in the summer spinning period I have been spending many hours trying to catch the barbell as well. In winter and early spring, however, you can meet me most often over a trout-river. 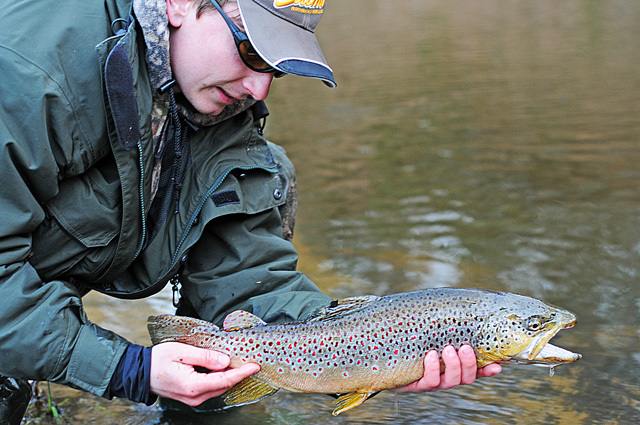 Catching the trout is like addiction and it’s hard to get rid of it. Moreover, I am fond of fishing on the skerries. I mean pike fishing of course. There are relatively many of this fish there and the skerries are a good place to discover new fishing techniques and test new pike baits. To me, the most interesting season there is the spring. It is then that I use my favorite method, i.e. big jerk bait. This is a very exciting method, especially that pike catch is very spectacular. 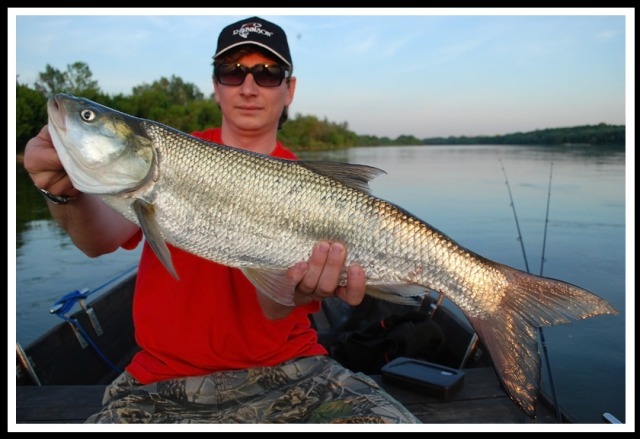 In 2005, a new fishing website was founded: www.jerkbait.pl. I am one of its editors. This website, which in the meantime has become one of Poland’s biggest fishing sites, makes my fishing life richer. 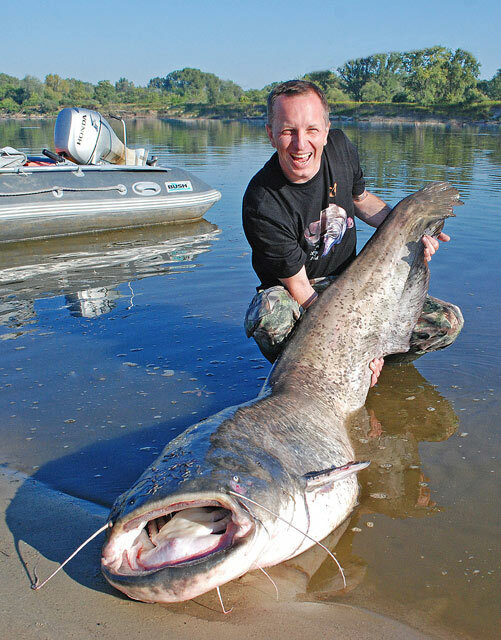 Since 2005, I have been also the co-writer of Wiadomosci Wedkarskie (Fishing News). 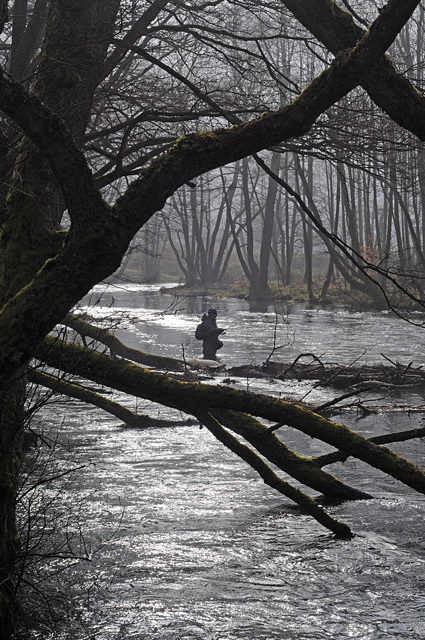 I write fishing texts enriched with the photos of fish and river landscapes. I support the catch & release method. I always follow it myself, and I will always do it. I encourage everyone to apply this method. Releasing the fish gives them a chance to survive and grow further. The ‘no kill’ method could only do good in Poland. 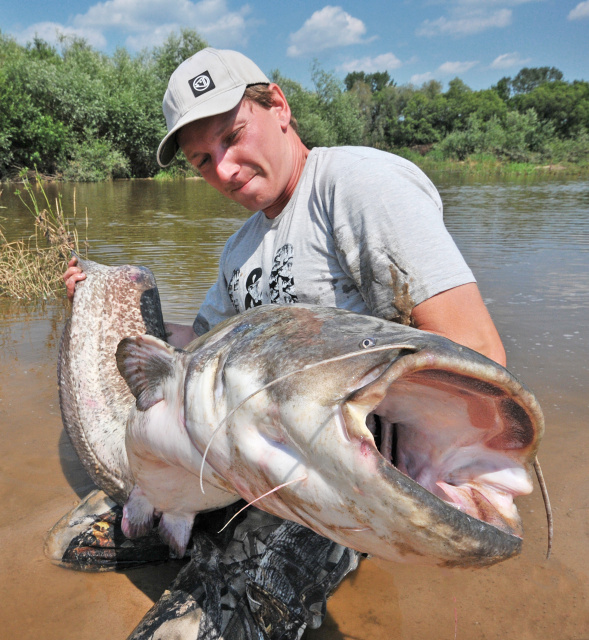 It would make the fish population in Polish rivers, which are less and less fishy, grow. Thanks to the method, each of us would have bigger chances to catch big fish of different types. A fish once released may be caught again, when it grows even bigger. Let’s remember that the C&R method means a chance for the fish to live longer and grow to record size. Feel invited to common trips when we will share our fishing experience with you. We will show you where and how to get to different fish types. What’s the most important, however, is the contact with wild nature, which is guaranteed at our fishing trips. 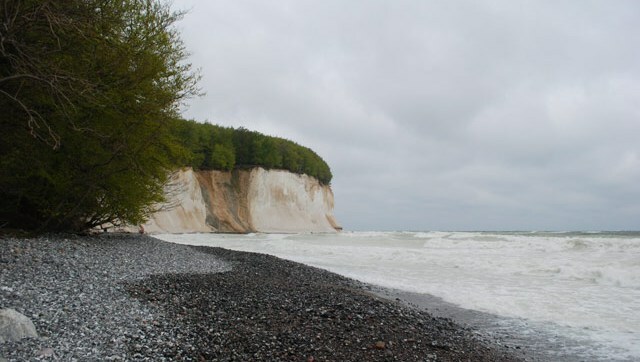 Expedition to Rugen (Germany) for an island surrounding by great bays of Baltic Sea (Bodden). Expedition for enormous pikes! WELCOME! 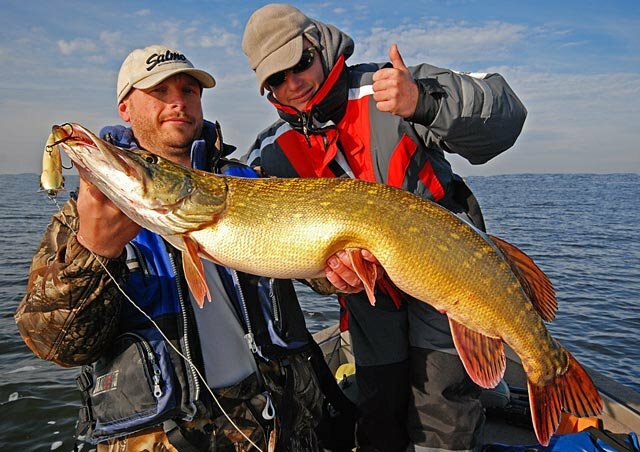 Going to the expedition with us, you should be aware that in every day of fishing you can come face to face with your great lifetime pike.It is a fishery with the biggest pikes in whole world! There is no doubt about it! We have been testing this fishery for couple seasons. 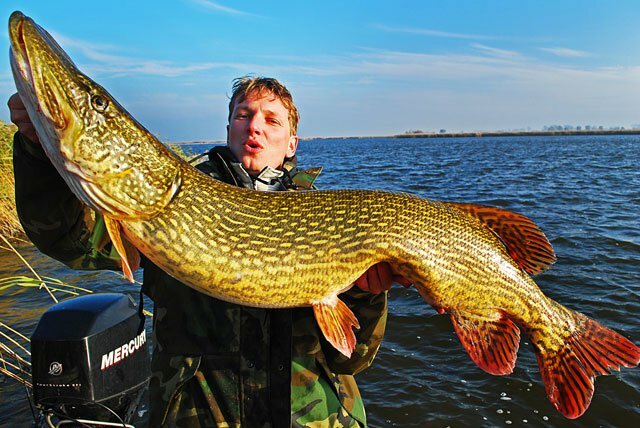 It is not the offer for every angler, however every demanding pike hunter might have a chance to fulfill his dream. We mainly focus on pikes, avoiding places where we can catch small fishes. Check our offer! Fishing deadline: spring, summer, autumn, winter. 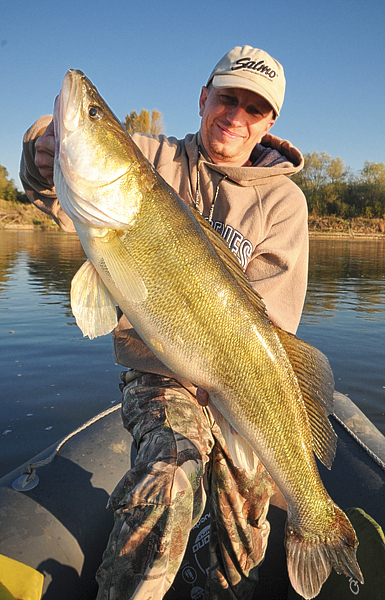 Expedition dates are settled individually with every two-man group of anglers or a larger group of anglers. Dates are dependent on pike close season and on the others tightenings which are applicable on rivers of Rugia. Pike close season is between 01.03- 30.04. The best time for pikes is spring, after close season and autumn and winter. 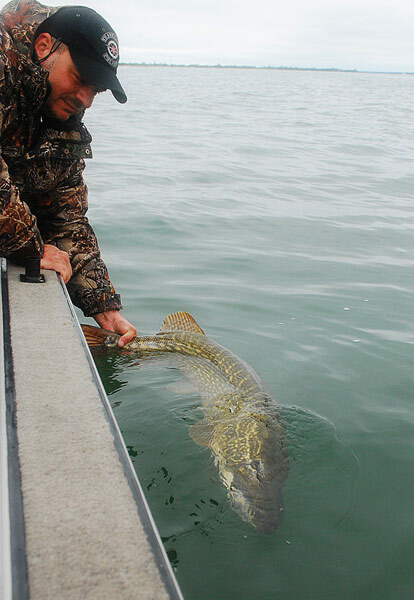 However during summer it is possible to catch huge pike. 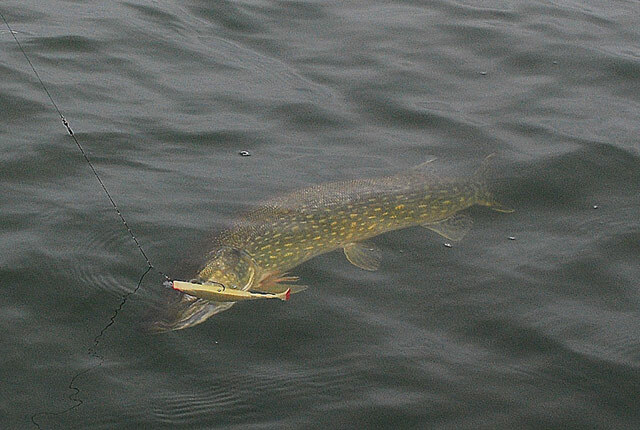 Fishing methods: we catch pike mainly on spinning or casting method. Using spinning or casting we also catch perches and zanders. We focus on catching big pikes. Application deadline: At least one moth before planning expedition. We offer (the price includes) : 4 days of fishing with a fishing guide on Bodden in Rugen, accommodation in comfortable house for 4 persons or double room for 2 persons, two professional (for 2-3 persons) fishing boats: Kruger Boats 5,3 meters with Honda 50 KM engine, guide care during all stay, fishing licence, final cleaning and sheets. The price includes fuel costs of boats. 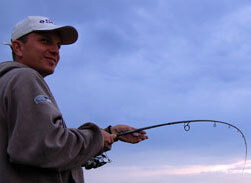 There is a possibility to rent a whole fishing equipment and baits. Not included: getting to the place and to the fishery, food, drinks, and insurance. Price of expedition: from 500 EUR per person (4 days fishing with guide - included accommodation, licence). 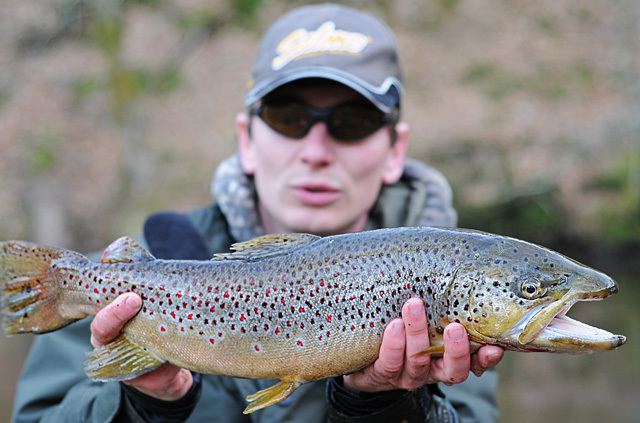 Booking and registration: e-mail: mateusz@guidedfishing.pl or by phone numer:+48 503 172 508. German Island - Rugia has a extraordinary fishing potential. Most inland fishes and marine live in that part of Europe. You can catch pikes, zandlers, perches and also cods and enormous salmons. It is a huge part of water and immeasurable resources of predators. Rugia has got many enormous bays. Fishing on one of them you cannot see the end of the island. This is the best pikes fishery on world! There are plenty of fishes less than one meter. The specialists are looking for pikes over 120 cm. 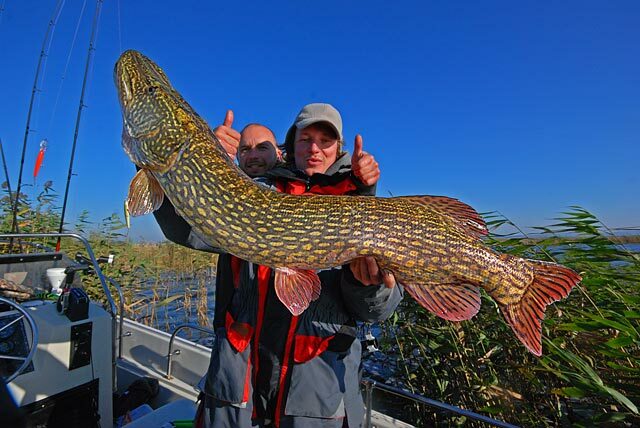 What is more, the real chance is to catch a pike over 130 cm, or even 140 cm! It is real because that kind of fishes you can catch there. On the Rugia territory there are many tightenings , that is way animals and fishes are protected. On the fishery we propagate ” catch and release” method in terms of pikes that we catch. On the ” inner” Rugia water trolling is absolutely forbidden. Fishing pikes on that area is not simple and easy. You can come across difficulties on water and with changing weather. In the season there are days that there isn’t possible to sail. However, later on seasoned hunters are endowed with beautiful fishes. Rugia is very interesting and beautiful place.In spare time you can visit Rugia, see her the most beautiful parts. Rugia has very varied sea- cost , from huge , immense bays, to more than over meters cliff, so typical to Ireand costs. For us, the main and the greatest attraction on Ruga are pikes. There is one fishery full of zanders, perchs and many kinds of fish, and among them the most important is salmon. 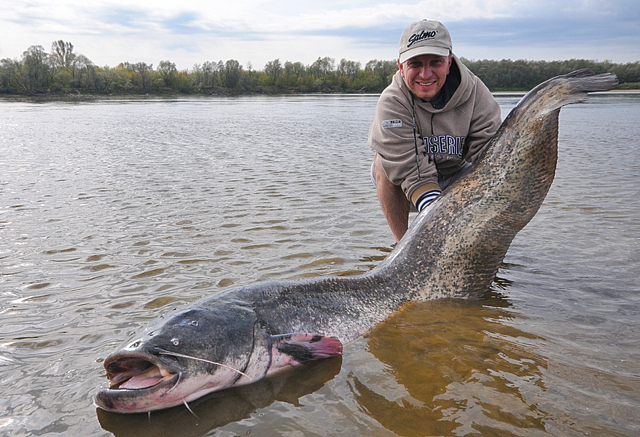 We concentrate on catching huge pikes, because in this case everything is possible. 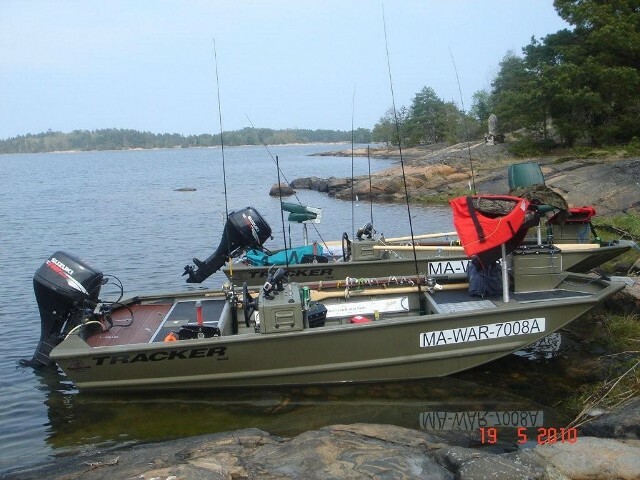 We have two professional fishing boats (for 2-3 persons): Kruger Boats 5,3 meters with Honda 50 KM engine. 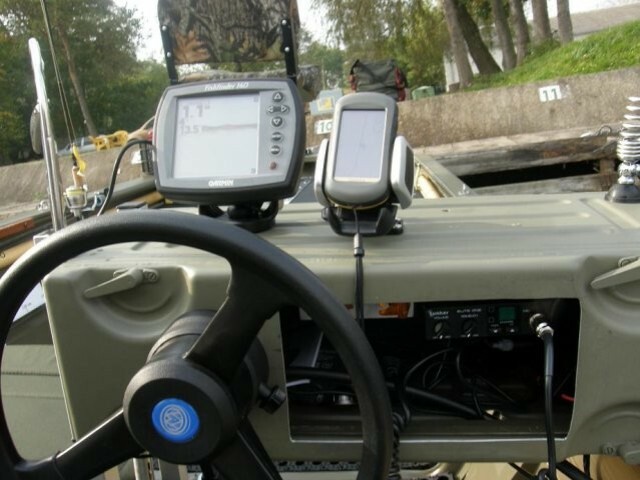 We have full electronics: GPS Garmin with necesary map and professional deep sounder. There are also life jackets. There is a possibility to rent a whole fishing equipment and baits. Getting to the place on your own. We have accommodation in comfortable apartaments (for 4-6 persons). They have 2 rooms and fully-fitted kitchen. There is everything to make a proper meal ( fridge, oven, mikrowave oven etc). Moreover there is a bath, toilet and central heating. For 2 persons we have accommodation in comfortable double-rooms. There is a bath, toilet and central heating. No kitchen. Food and drinks are self board. You can go shopping in the local shops on the Rugia area. At the place of residence you can prepare every meal (only apartments for 4-5 persons). Moreover there are restaurants with full of varied dishes. 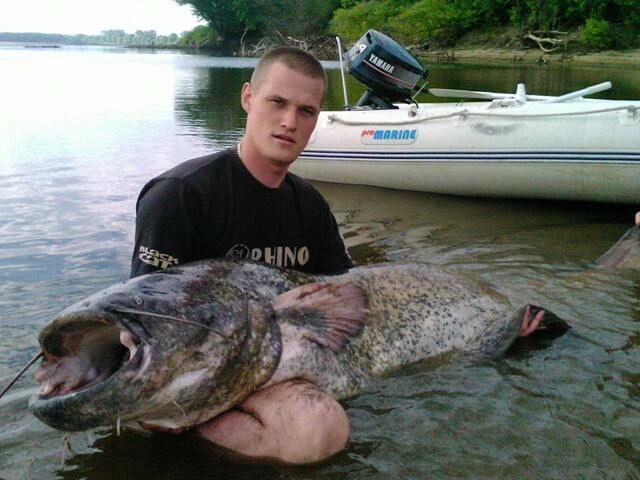 From the beginning you are undrer the care of fishing guides: Sebastiana i Mateusza Kalkowskich. Fishing guides are swimming with you during the whole expedition. They can give you some advice about fishery, choosing proper baits or technique with catching pikes. Expedition dates are settled individually with participants. There are wide tightenings on Rugia, and to obey them is the base of our safety. You can keep it in mind that weather condition might be bad and we won’t be able to sail at the particular day. During our expedition we hold the rule: catch and release! in terms of pikes that we catch. WELCOME to fishing trip! We will share with you our passion! Expedition to Szczecinski Lake. Fishery with mixed sea and fresh water. Expedition for enormous, monster pikes! WELCOME! Going to the expedition with us, you should be aware that in every day of fishing you can come face to face with your great lifetime pike. It is a fishery with the biggest pikes in whole world! There is no doubt about it! We have been testing this fishery for couple seasons. 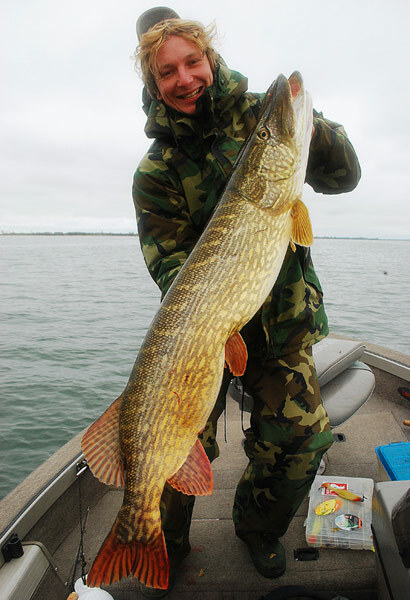 It is not the offer for every angler, however every demanding pike hunter might have a chance to fulfill his dream. We mainly focus on pikes, avoiding places where we can catch small fishes. Check our offer! 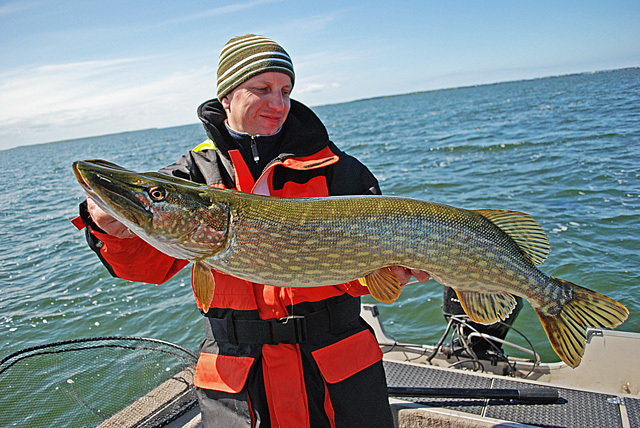 Dates are dependent on pike close season and on the others tightenings which are applicable in Szczecin Lake. Pike close season is between 01.03- 30.04. The best time for pikes is spring, after close season and autumn and winter. 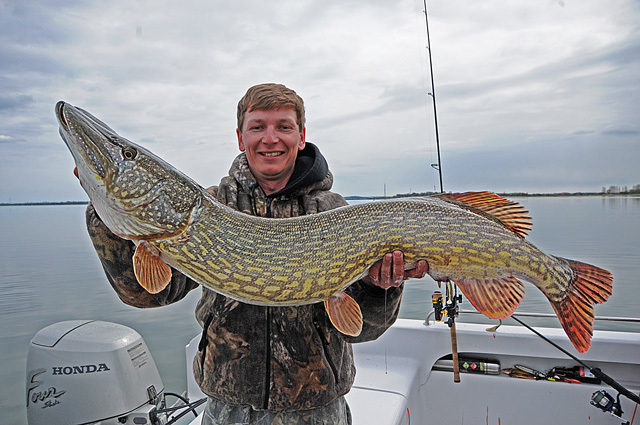 However during summer it is possible to catch huge pike. 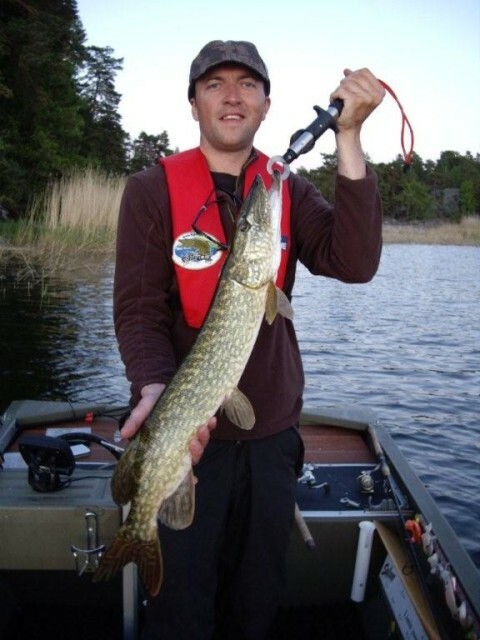 Fishing methods: we catch pike mainly on spinning or casting method and trolling. Using spinning or casting we also catch perches and zanders. 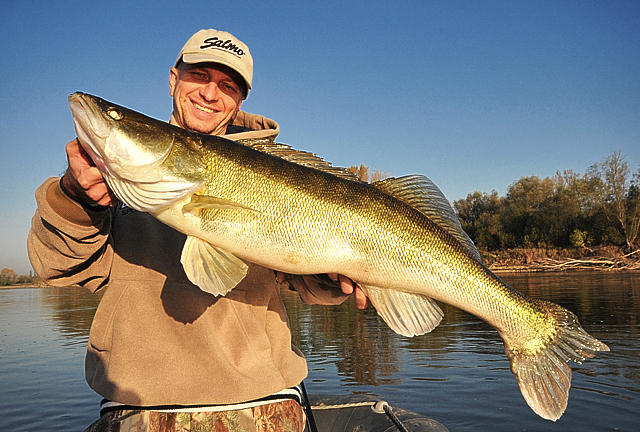 We focus on catching big pikes. 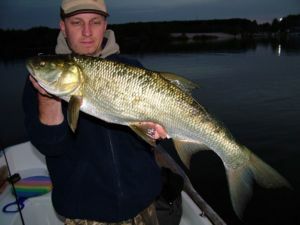 We offer (the price includes): 4 days of fishing with a fishing guide, accommodation in house for 2 or 4 persons, two professional (for 2-3 persons) fishing boats: Kruger Boats 5,3 meters with Honda 50 KM engine, guide care during all stay, fishing licence, final cleaning and sheets. The price includes fuel costs of boats. 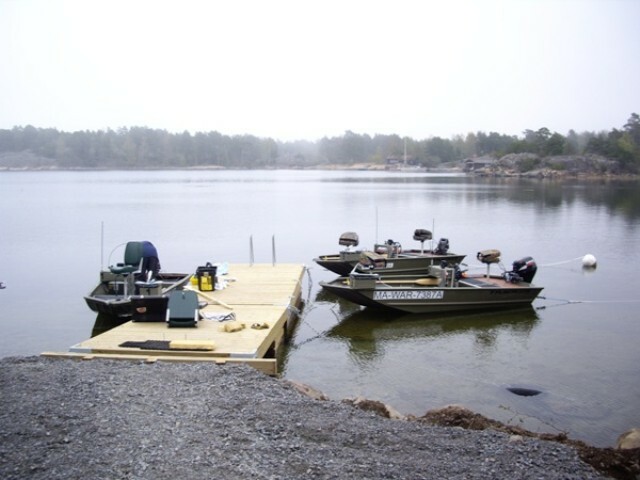 There is a possibility to rent a whole fishing equipment and baits. Price of expedition: from 620 EUR per person (4 days fishing with accommodation). The prices are valid for reporting on an expedition of at least 2 persons. Szczecinski Lake has a extraordinary fishing potential. Most inland fishes and marine live in that part of Europe. You can catch pikes, zanders, perches and also cods and enormous salmons. It is a huge part of water and immeasurable resources of predators. Szczecinski Lake has got many enormous bays. This is one of the best pikes fishery on world! There are plenty of fishes less than one meter. The specialists are looking for pikes over 120 cm. 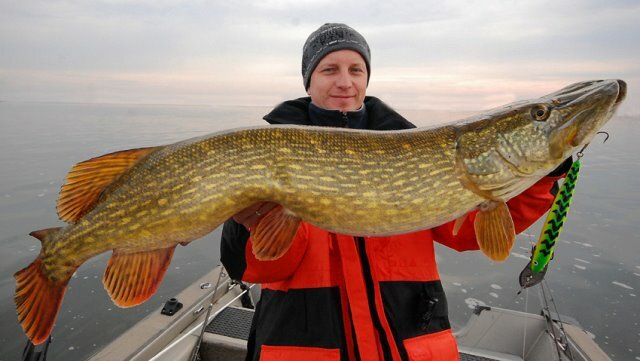 What is more, the real chance is to catch a pike over 130 cm, or even 140 cm! It is real because that kind of fishes you can catch there. On this territory there are many tightenings , that is way animals and fishes are protected. On the fishery we propagate ” catch and release” method in terms of pikes that we catch. Fishing pikes on that area is not simple and easy. You can come across difficulties on water and with changing weather. In the season there are days that there isn’t possible to catch. For us, the main and the greatest attraction on Szczecinski Lake are huge pikes. There is one fishery full of zanders, perchs and many kinds of fish, and among them the most important is salmon. 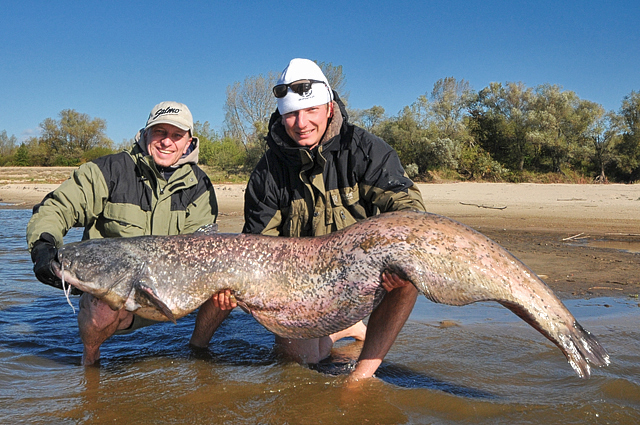 We concentrate on catching huge pikes, because in this case everything is possible! We have accommodation in apartaments (for 2-4 persons). They have 2 rooms and fully-fitted kitchen. There is everything to make a proper meal. (fridge, oven, mikrowave oven etc). Moreover there is a bath, toilet and heating. Food and drinks are self board. You can go shopping in the local shops on the area. At the place of residence you can prepare every meal (only apartments for 4-5 persons). Moreover there are restaurants with full of varied dishes. 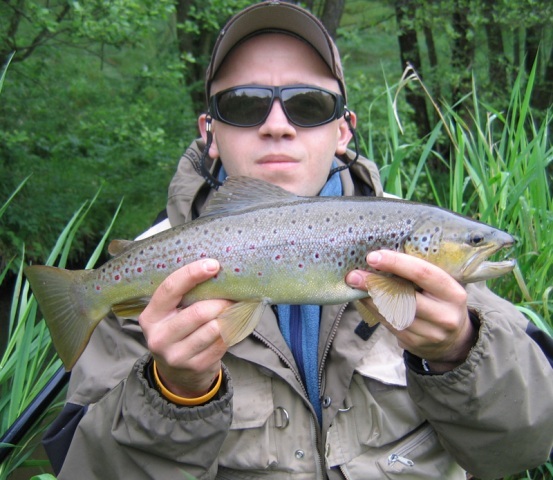 From the beginning you are undrer the care of fishing guides: Sebastiana i Mateusza Kalkowski. Fishing guides are swimming with you during the whole expedition. They can give you some advice about fishery, choosing proper baits or technique with catching pikes. Before expedition, we ensure extensive information about equipment for all participants. There are wide tightenings on Szczecinsk Lake, and to obey them is the base of our safety. You can keep it in mind that weather condition might be bad and we won’t be able to catch at the particular day. During our expedition we hold the rule: catch and release in terms of pikes that we catch. Expeditions to Sweden on Skerries St. Anna. 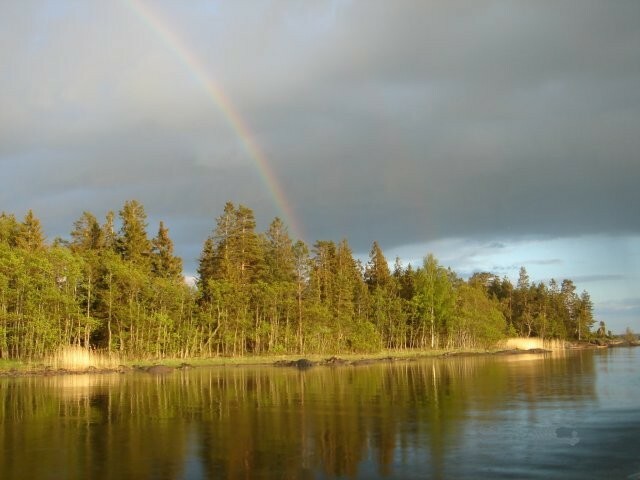 Expedition for pike, perch, zander and whitefish (breams, ides)- WELCOME! Going with us you don’t have to worry about anything. All you need is included in the price. Check out our offer. Fishing dates: Spring and Autumn – available terms: (8 days of site, 6 full days of fishing) - Spring 2015 - 09-16.05.2015, 16-23.05.2015, 23-30.05.2015, 30.05-06.06.2015 - Autumn 2015 - 05-12.09.2015, 12-19.09.2015, 19-26.09.2015. 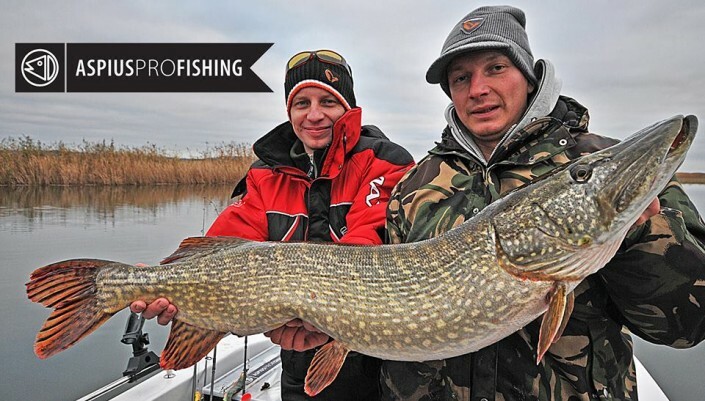 Fishing methods: We mainly fish pike on spinning method. Using spinning we catch also perch and zander. Applications terms: applications at least 2 months ahead before planned expedition. We offer ( price includes): 6 days of fishing on Skerries St. Anna, accommodation in comfortable, for six persons house, two professional fishing boats( for two persons) Tracker 4,5 meters, with Suzuki 15 KM engine, for fishing Sportex equipment, plane tickets, transfer to the fishery and airport, polish resident care at the place (1st day presenting fishery and the methods of fishing), insurance, final cleaning and sheets. Price doesn’t include: fuel to the boats. You can buy fuel at the place where we’re staying in the canisters 5 liters itch, or multiple. 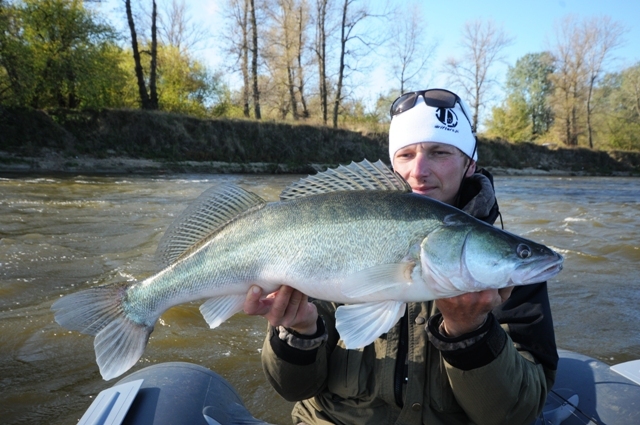 Booking and applications: on e-mail : mateusz@guidedfishing.pl or by phone numer:+48503172508. Archipelago, Skerries St. Anna is a enormous area of water. Fishing pression is very low in here. 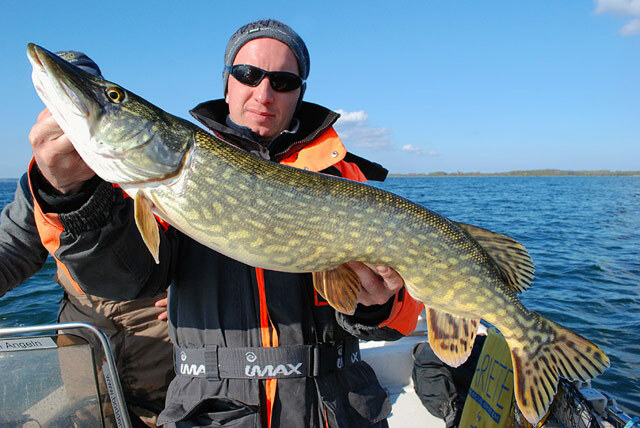 It is one of the best fishery of pike, perch and zander in this area of Swedish Baltic coast. Thousand of island and islets. Many underwater stones, and rocks overgrown with underwater flora and also many types of cane, which gives us the picture do great fishery of pikes, perches and zanders. The best season for pikes is between May and June and Fall to the end of October. In spring you catch pikes mainly on shallow bays, and in cane area, where they prey, after completed their spawning. However during fall, we look in slightly deeper places from 3 to 7 meters. On Skerries St. Anna numerously appears huge pikes or perch , which can be expected in fall. Trolling is forbidden on the waters of Skerries St. Anna. Daily , we can take from fishery one piece of pike or perch to the house(measurement 45-75 cm) You can eat them only at that place. The main attraction on Skerries St. Anna are without a doubt pikes. Fishingclub.eu base is in separated place, far away from fishing pression. Individuals over one meter aren’t rarity here. Another attraction are zanders , worth to go there in fall. After finding good place you can catch many individuals. Another skerries attraction are big perches. Someone who devotes time for catching the “fat” ones, won’t be disappointed. For followers float or feeder methods there are many species of calm prey. 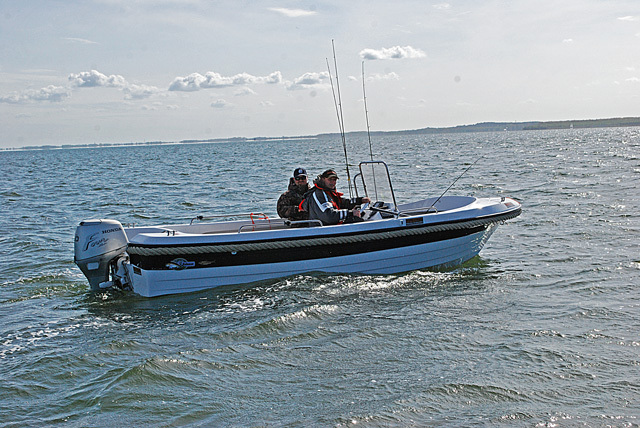 At your disposal we have got two professional fishing boats: Tracker 4,5 meters, with Suzuki 15 KM engines. Boats are equipped with two revolving chairs with high regulation. GPS Garmin with sea maps and marked with the best places and the most dangerous lines between on fishery. 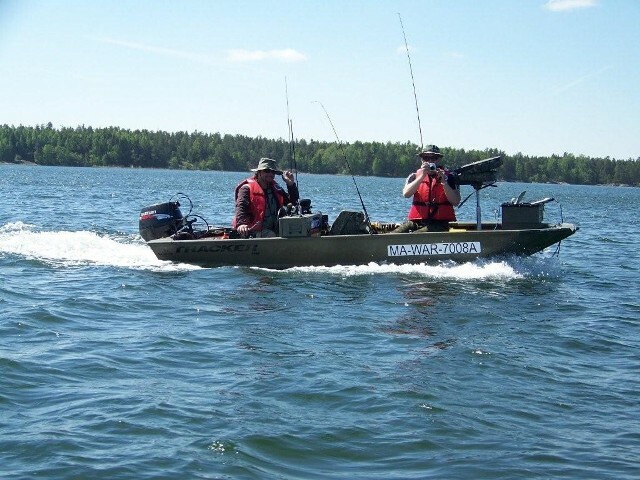 Equipment includes sonar and CB radio which uses to contact between boats and the base. Equipment includes life-jacket. On every boat we have got Sportex equipment. 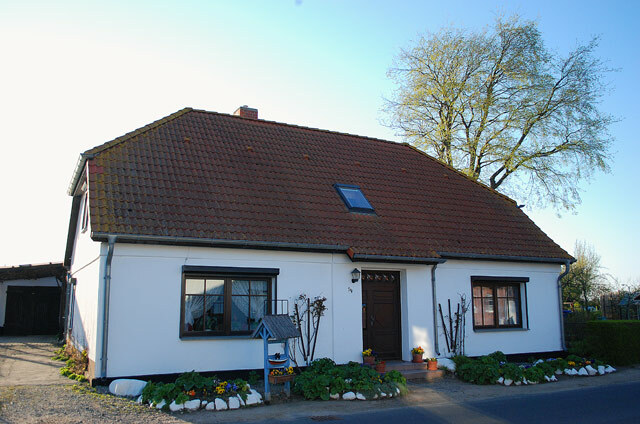 Accommodation in comfortable house for six persons. 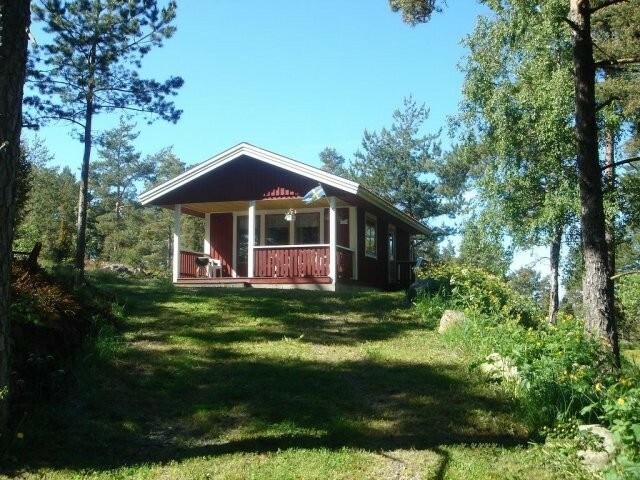 The house has 2 rooms for 3 persons and living room with bathroom and toilet, heating and terrace. From house to harbor is 30 meters. On the firs good fishery you swim about 5 minutes by boat. On Skerries St. Anna you are under the care of polish resident/ guide. He is with you from your landing at the Swedish airport. For all the time he advises with recognizing fishery , choosing the best suitable equipment and technique of catching predators. He also helps with organizing every day trips to fishery. He swims firs day with all participants and shows particular fisheries and talks about methods of fishing. There is a possibility to buy a fishing with fishing guide for all 6 days of fishing. Before expedition, for all participants we provide extensive fishing- information and help with eventual equipment shopping. All the information will be transferred after booking and payment for expedition. We offer 7 % discount on shopping in Warsaw’s “ Fishclub”. Lukowska 30 street. Flight from Poland, exactly from Warsaw, Katowice or Poznan to Nyköping in Seweden lasts about 90 minutes. After landing in Sweden we organize transfer to base with very large and comfortable van. It takes about 120 minutes. After 3/5 hours from starts in Poland we can swim into fishery. There is a possibility to come by your own car - then the cost is much lower of the cost of the tickets. WELCOME on the expedition! We share our passion with you! The queen of Polish rivers. Wilde, huge and… dense with fish. We invite you to fishing trips lasting several hours or all-day-long ones. Our main attraction are unforgettable boat trips (it’s possible to stay for a night in a tent). We fish all day and late at night then. What fish can be caught? In theory, all the fish living in this river. Our guides will provide you the right care. We know places where zander rest at the hill of a vertical dam, asp raven at the verge of the sandy shallowness in the middle of the river, while catfish swim out of the depth for night hunt. We will take you to interesting overflows, wild reefs and other places where prey fish like to be. We also know when it’s worthwhile to go to the river to look for certain fish. We watch the water level, the pressure, the temperature and the weather. We know why it’s good to hunt for ’white’ preying fish in spring, where to fish for asp on a warm spring or autumn day, and where to look for raven spots of the preying fish just before deep water starts. We know when it’s better to stay at home because the water level or even the weather are not suitable for fishing. We don’t know one answer only – what fish you would like to catch? Choose it and we will tell you when and where we could try to catch it. You don’t know yourself what fish you would like to catch? Tell us, when you would like to go fishing. In the morning? Then we may start with the asp. We will try to add our baits to their breakfast menu. You have the whole day to spend on fishing? We will look for chub or ide in racing spots. Or maybe we will fish for barbell, the queen of our river? We may always look for pike in numerous places along the river. In the evening, we may try to find zander at their night raven spots. How about catfish later on? Or maybe you would like to fish all night long? Nothing gives you more adrenaline than a zander’s strong stroke or a catfish catching the bait when it’s all dark and quiet around. Quiet? Well… how about the sound of ravening fish? We may put up the tent or sleep just at the fire. Shall we fish at dusk? No problem. Later on, we will sail further on or go down to the base. We don’t guarantee that you catch fish, there is no way sometimes… What we do guarantee is that our guides catch fish of your dreams on the regular basis, they know the river and they will do everything for you to feel the pulsing weigh of fish running away in the river at the top of your rod. You know perfectly well what we are writing about. We will be happy to let you understand the river, and we will teach you to read its secrets. The range of possible choices is big, and the choice of a certain offer depends on your wishes only. Tell us what you expect, and we will tell you when we may fulfill your fishing dreams. Group expedition – Vistula River - season 2014 - WELCOME! 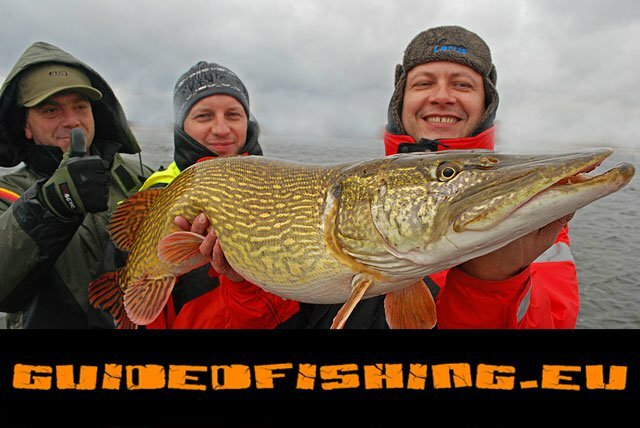 Expedition deadline 2014 season: 24-25.05 (2 days) + 07-08.06 (2 days) + 18-20.07 (3 days - catfish fishing) + 26-27.07 (2 days - catfish fishing) + 08-10.08 (3 days - catfish fishing) + 23-24.08 (2 days) + 05-07.09 (3 days - catfish fishing) + 20-21.09.2014 (2 days). 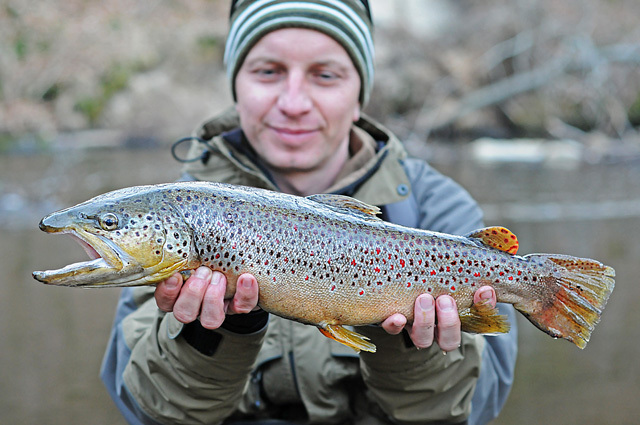 Booking: e-mail: mateusz@guidedfishing.pl or phone number: +48 503172508. Where are we going and what we will be fishing? On Saturday morning ( at about 5.00 – 6.00 am )we’re setting off from city centre and flowing down or up the river Vistula. Our come back is restricted only by the time of expedition. In case of 2- days trip we will go back to the harbor on Saturday evening ( at about 8 pm.) In the case of a three-day expedition we start on Friday morning. We’re going to float on many varied places, such as: stony reefs, rocky fortifications, wild brims, concrete fortifications and sandy places. 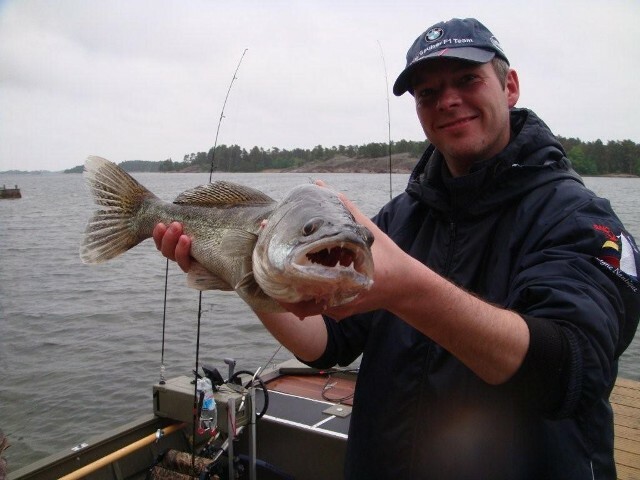 Our main goals are: aspius and pike-perch(sander). We will also hunt for chubs, daces, barblles and for big catfish. During our expedition we will discuss places for fishing, we will show and advice how to catch in these places, what is expected to be catch and how to put our boat properly. 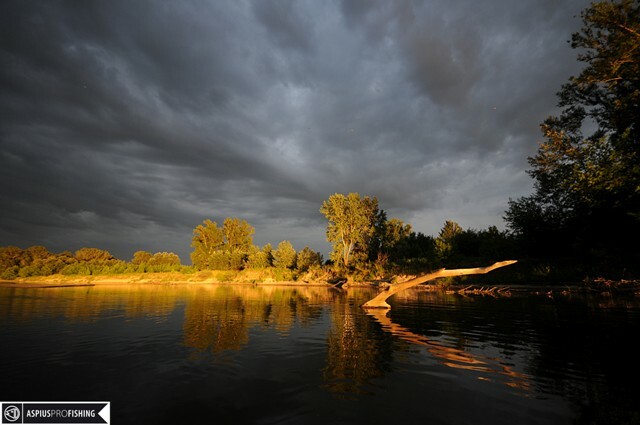 From Saturday to Sunday we will stay on one of Wisla’s islands. We will sleep in tents, near the camp-fire. 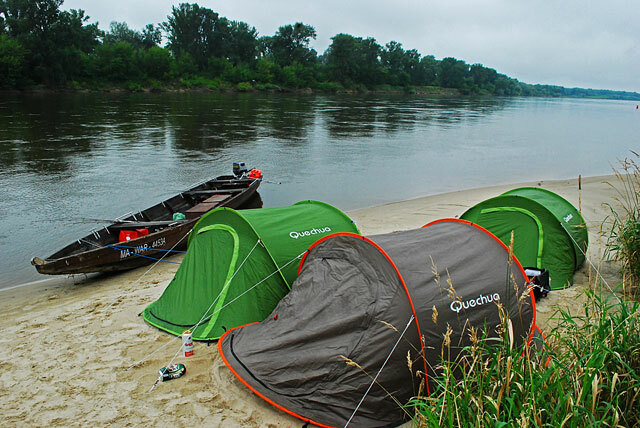 In the case of a three-day trip, two nights on the Vistula islands. Food and drinks are on your own extent. During the day and in the evening we are going to organize a camp- fires. We have got two river boats. They are safe and comfortable boats equipped with two internal combustion engines (25 KM and 10 KM). On one boat we put 3 participants and a guide, on the other 2 participants and a guide. Our guides during the expeditions are: Sebastian Kalkowski and Mateusz Kalkowski. They are anglers, who are familiar with Vistulas’s fishery and its fishes. They can give you professional advice and share their extensive knowledge. We meet at the appointed place in the harbor. More details are available after sing to the list and payment on account. Welcome to fishing trips! We share our passion with you!